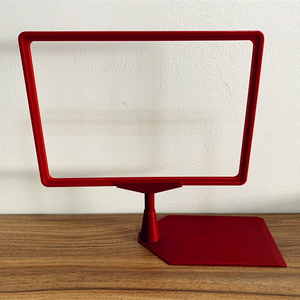 2018 New Display Product Customized Advertising Acrylic Sign Holder A4 Photo Frame Stand Specifications 1. Hight quality acrylic, will not change yellow. We specialize in producing many different kinds of display systems, such as LED ight box, Acrylic menu holder, Flag banner, Poster frame, Pop up display, Banner stand, Promotion table, Truss, Exhibition booths etc. Our certifications including 3C, EMC, CB, CE, UL, ROHS and dozens of state-patented rights, our products sell well on the world market, including Asia, Europe, the Americas, and Africa. 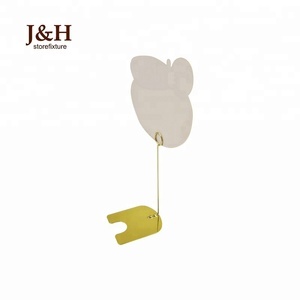 It is also an ideal display to use in retail stores for highlighting your product. You can come to visit before you want to establish the business relationship with us. We have the professional design team; they can do the design according to your requirements until you think they are perfect. 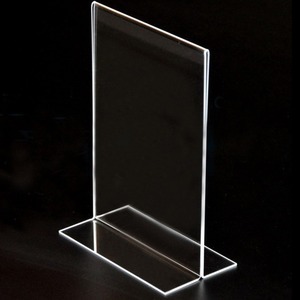 1.Acryl China do the acrylic photo picture frame since 1998. 2.Have some acrylic photo picture frame styles. 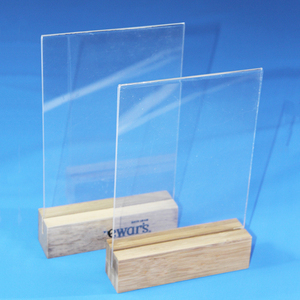 Acryl China' s outstanding revenue states clearly that she has become a leading acrylic manufacture company in southern China. 5. Is the sample fee can be refund9 Re: Yes, it can be refunded to you once your production order is confirmed. 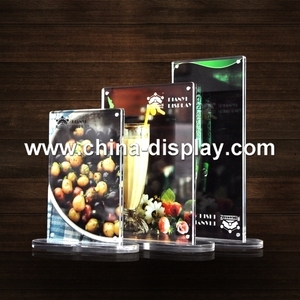 A3 poster stand photo frame advertising poster holder r Packaging We use export corrugated the carton for your items. 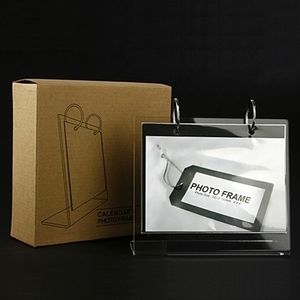 A3 poster stand photo frame advertising poster holder F A Q Q1: Are you a manufacturer or trading company 9 A: We are a manufacturer. 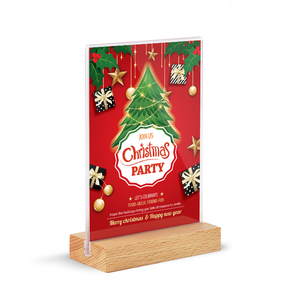 A3 poster stand photo frame advertising poster holder Q5: Are samples available 9 A3 poster stand photo frame advertising poster holder A: Yes, samples are available. 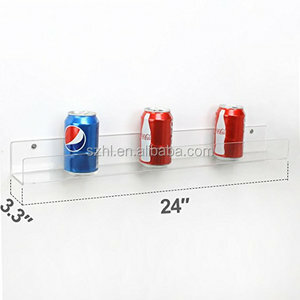 Alibaba.com offers 4,304 photo stand holder products. About 20% of these are display racks, 1% are card holder & note holder, and 1% are easels. 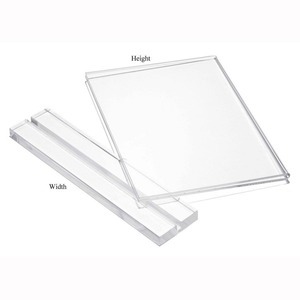 A wide variety of photo stand holder options are available to you, such as wood, acrylic, and plastic. You can also choose from free samples, paid samples. There are 4,323 photo stand holder suppliers, mainly located in Asia. The top supplying countries are China (Mainland), Hong Kong, and Canada, which supply 95%, 2%, and 1% of photo stand holder respectively. 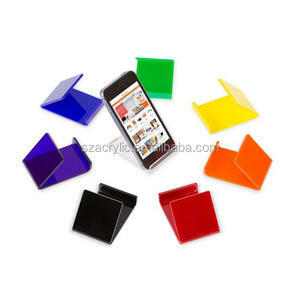 Photo stand holder products are most popular in North America, Western Europe, and South America. You can ensure product safety by selecting from certified suppliers, including 431 with Other, 284 with ISO9001, and 83 with ISO14001 certification.